Justin Bieber and Selena Gomez may have left Australia, but that doesn't mean we aren't finding out new things about their trip here! 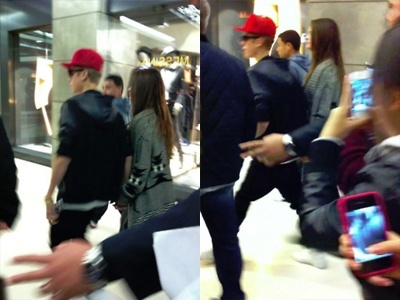 After Justin finished his Sunrise performance on Wednesday, the couple found time for a bit of shopping. According to Sydney Confidential, Sydney's Nike store was closed so that Justin could have a private shop. "We closed the store for him for about 20 minutes to let him have a shop. He was really nice. really chilled. He sounded like he was really enjoying his time in Australia," a staff member told Confidential. He left with two new pairs of sneakers, while Selena bought some heels as Senso. And the pair was all smiles as they were snapped leaving a shop in Paddington. Justin is now in New Zealand to finish up his promo trip down under. He'll be back sometime in the future for the Aussie leg of his Believe Tour!